This afternoon while mountain biking down Big Cottonwood Creek, I passed an emphatic rattling sound. 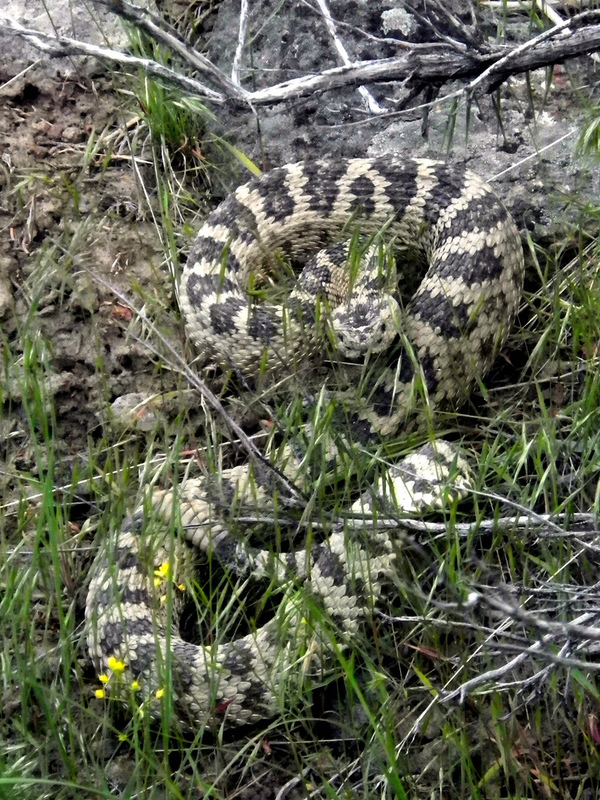 I know other animals besides the rattlesnake mimic the rattlesnake’s sound, and I have heard them many times. This, however, got me off my bike and walking back. It was not hard to find because the moment I started walking back it started up on it’s rattle again. It was about 4 feet off the trail. This was the most intimate personal encounter I have ever had with a rattlesnake on my own. It was and is an impressive creature. I am SO VERY UPSET that I didn’t think to flip my camera to VIDEO mode and capture the entirety of the experience. I am kicking myself for that.